Mr. Brown is an Operating Partner at MavenHill. 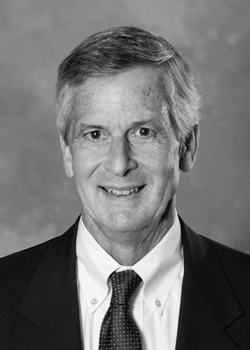 Mr. Brown’s primary responsibilities include operational oversight of portfolio companies and acquisition searches. He currently serves as a director for Universal Screen Arts, Eat’n Park Hospitality Group, McKee Foods and the American Textile Corporation. Mr. Brown has successfully developed growth strategies for a range of different consumer-oriented businesses. He is also a proven leader and developer of people. Prior to joining MavenHill, Mr. Brown spent eleven years at Polyconcept North America, where he was President of the $450M Hard Goods division and also responsible for global product development. Prior to being President Mr. Brown was Chief Marketing Officer and responsible for all sourcing activities. Polyconcept is the largest global supplier of promotional products, operating on five continents and selling to over 100 countries worldwide. Before that, Mr. Brown was a Vice President for the Gastrointestinal/Dermatological and Oral Care Business Units of GlaxoSmithKline Consumer Healthcare. While there, he managed a portfolio of branded products and developed branding, advertising and sales strategies. Mr. Brown is a graduate of Colby College and has an M.B.A. from Harvard University.